Emily and Scott first met in Las Vegas. then reconnected a year later in Toronto. Their relationship blossomed, and Scott proposed to Emily in Hawaii, with a custom diamond ring he designed himself. 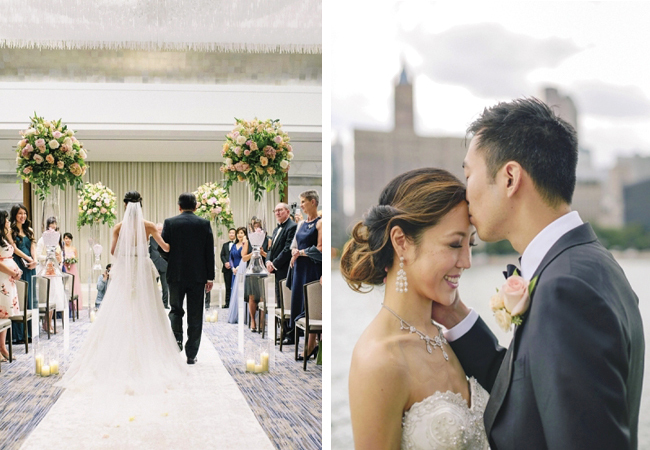 They tied the knot at Chicago's recently renovated Ritz Carlton. Emily was radiant in her Blue by Enzoani gown, with a dazzling ten-carat diamond necklace and matching earrings by Merry Richards Jewelers. 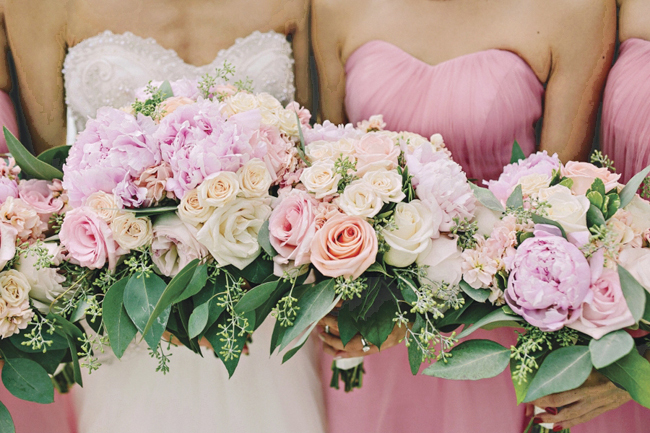 The flowers she selected were simple yet elegant, with lush roses and peonies galore. Family and friends enjoyed a fabulous reception, with a late night pizza party, too. Later, this wonderful and well-traveled couple continued their celebration with a whirlwind honeymoon in Thailand and Bali. Incredible! Featured on Modern Luxury, this was definitely a Chicago wedding to remember, and the most memorable part for us was Emily and Scott's truly beautiful love for each other. Credits: This is Feeling Photography, MC Designs, Bloomingdales, Pastel Dress Party, Jasmine Bridal, Alliance Bakery, Standing Room Only.